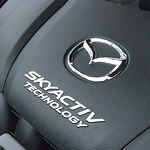 Mazda vehicles are popular for their sporty looks, fuel economy and overall performance. Mazda now makes them more affordable too through their certified pre-owned program. Check out our selection of certified pre-owned vehicles at Piazza Mazda of Reading. In order to qualify as being a certified pre-owned vehicle, each prospect must meet our high standards. The vehicles must be no more than a certain age and have mileage stipulations. All must additionally have clear titles and vehicle history. After meeting these qualifications, each vehicle must undergo a 160-point inspection. At this time, technicians perform maintenance and perform repairs if necessary. If the vehicle passes inspection, it becomes available as certified. New owners also have the advantage of getting a vehicle covered by the existing powertrain warranty in addition to having a limited 12-month/12,000 mile warranty and 24/hour roadside assistance. Get behind the wheel of a Mazda and enjoy the ride.